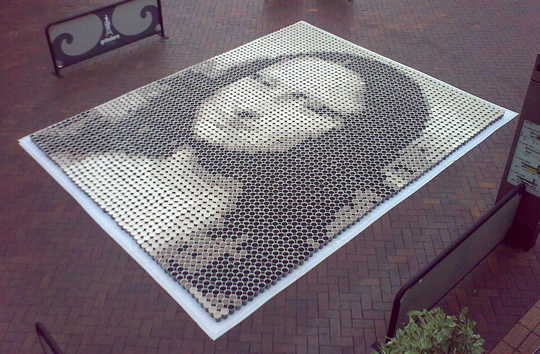 Can you guess what this Mona Lisa is made from?? For those who have followed this blog, you may remember a posting of an artist who made portraits in this style of fooling the eye, or illusionary use of colour – this Mona Lisa is not crayon. Click into the post to see just what was used to create this montage that really does fool the eye as the colours blend to give us the image, rather than the parts that we see not individually but together as the whole. It is very cool. And the answer is – this Mona Lisa is made from 3,604 cups of coffee. 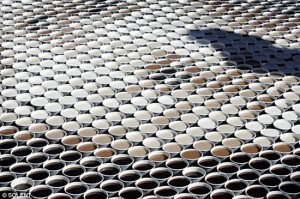 The coffee cups were each filled with different amounts of milk to create the different shades. 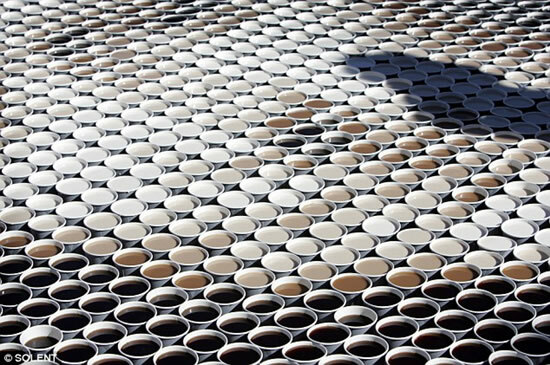 Then as the cups are placed according to where the shading and light falls, the colours are blended by the human eye to produce the image of the Mona Lisa. Quite amazing. 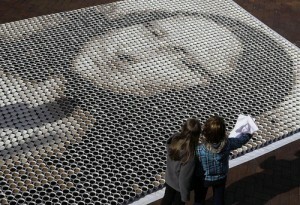 After all this work, the artist must have really enjoyed settling down to a nice cup of tea. Nice post…Thank you for sharing ! !